Interfacing Adafruit’s Digital Addressable RGB LED strip to the Raspberry Pi is super simple, requiring just a few connections between the board, strip and a DC power jack. The board’s MOSI pin connects to the DI pin on the LED strip, and SCLK connects to the CI pin. 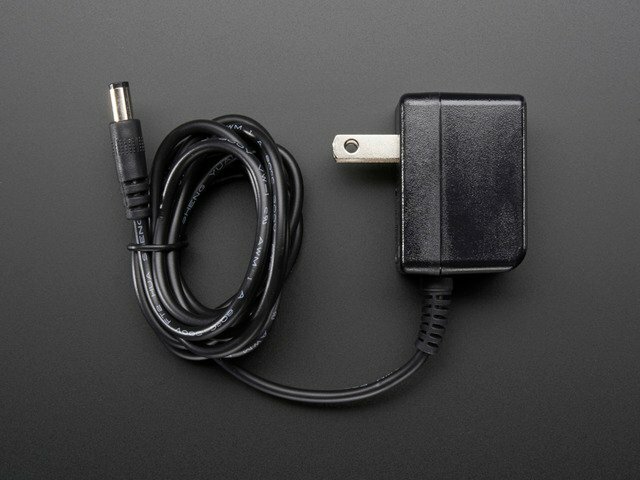 Instead of supplying power to the Raspberry Pi’s Micro USB connector, a 5 Volt DC power supply is required because the LED strip draws significantly more current than the USB input can provide. 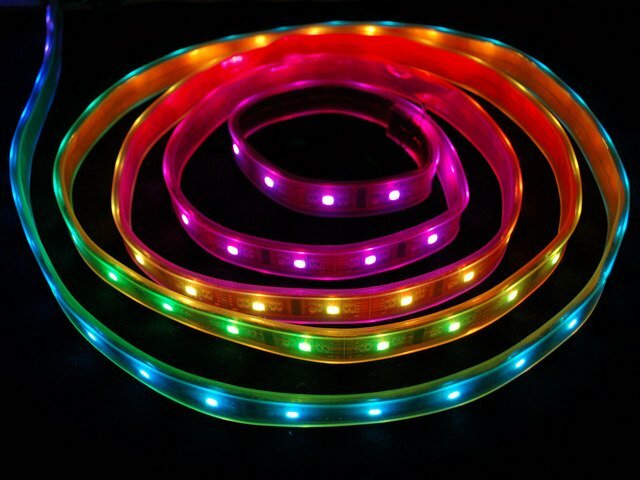 A 2 Amp power supply is sufficient for a 1 meter LED strip, while our larger 10 Amp supply can power up to 5 meters of LED strip (plus the Raspberry Pi board, in both situations). +5V and ground from the power supply connect to the 5V and GND pins on both the LED strip and the Raspberry Pi GPIO header. 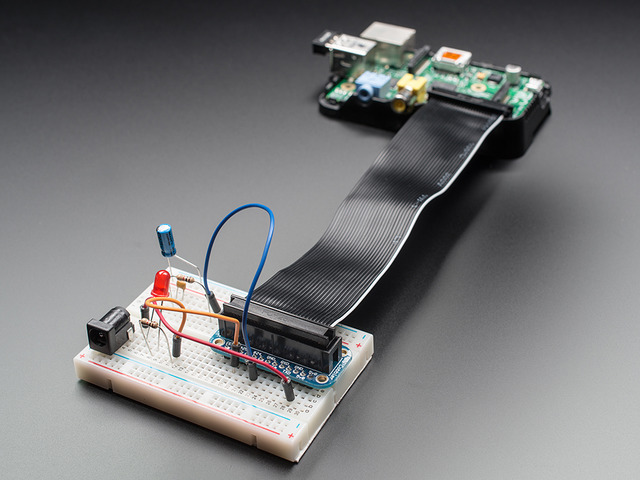 An initial prototype was assembled using a Pi Cobbler breakout kit. Because the finished project would be moving around a lot, and because breadboards aren’t the most robust thing, a 26-pin IDC cable was sacrificed for science to create a purpose-built cable between the Raspberry Pi GPIO header, LED strip and power supply. This is much more resilient to vibration and careless fingers. 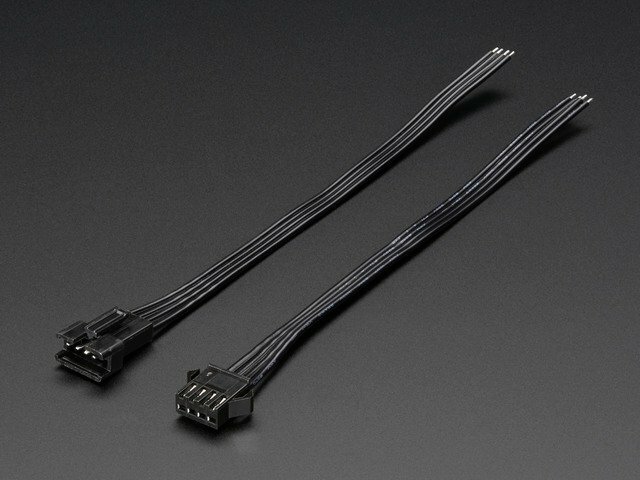 To make connections easy to make/break for setup and take down, we also used two JST 4-pin inline cables (plug and receptacle) and to attach and detach the LED strip. 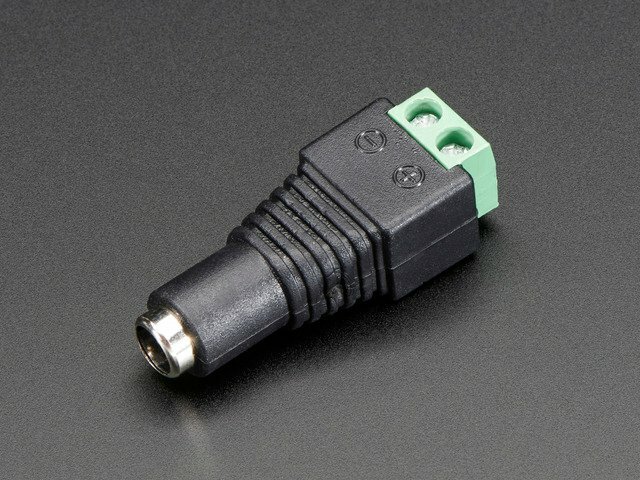 The connectors are polarized so they can't be plugged backwards! This guide was first published on Aug 10, 2012. It was last updated on Aug 10, 2012. This page (Hardware) was last updated on Apr 23, 2019.